On October 20th 2018 over 100 radio anoraks gathered in the Ballsbridge Hotel Dublin. The purpose was to meet and record oral history of the pirate radio era. In this interview, Walter Hegarty talks to Gerry O’Reilly, a transmitter man from the border regions. Gerry worked on transmitters for the following stations: Kandy Radio, Galway District Radio (GDR), Hometown Radio, Big M, Erneside, NWCR, CCR, Breffni Radio, Midwest Radio. East Coast Radio (Louth), Melvin Radio, Radio North, Riverside Radio, Boyneside Radio, DCR Letterkenny, Radio West, Rainbow Radio, Star Radio, North Star, KISS FM, KITS, North Atlantic Radio and many more. 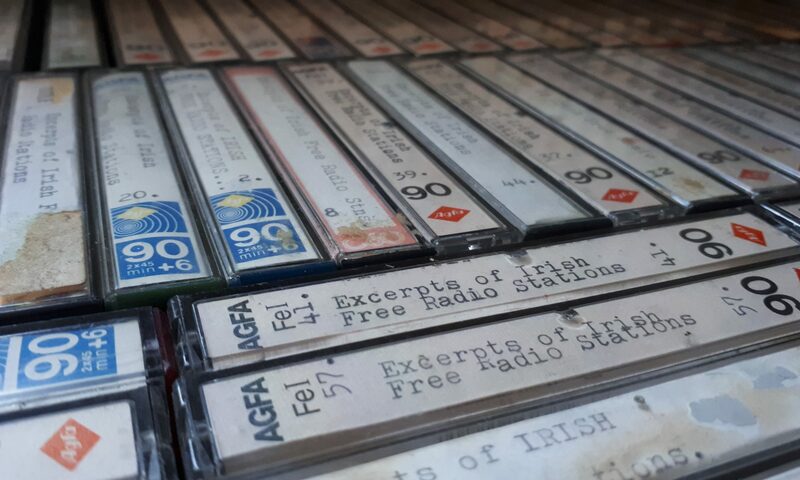 Bill Ebril talks transmitters and the early days of pirate radio with Dónal Greene.